What Is a Living Trust In Virginia? A living trust is a formal legal document created under Virginia state law. According to Virginia state law, a properly created living trust creates a legal relationship that can own, invest and transfer real and personal property. For example, a living trust in Virginia can own a home, a bank account or family jewels. Living trusts are estate planning documents that help protect property and transfer property to family and other loved ones. Living trusts created in Virginia must comply with Virginia state law. However, a living trust created under Virginia state law is enforceable in any state in America. Similarly, a living trust properly created under another state's laws is likewise enforceable in Virginia. But, if you live in Virginia and the trust property is located in Virginia, you should always comply with Virginia state law. Living trusts are legal relationships involving a least three separate parties. First, there must be a trustor, who is the person that creates the living trust. The trustor must appoint a trustee, who is the person who manages the property according to the terms of the living trust document. Finally, the trustor must identify at least one beneficiary to receive trust income and property disbursements. The trustee and the beneficiary can be the same person as long as there is at least one other beneficiary. The trustee and the beneficiary cannot be the same person if the trustee is the only beneficiary. Living trusts in Virginia serve several purposes, the most important of which is the avoidance of probate. Probate is the legal process that occurs when you die and a judge distributes your property according to the terms of your will, or if you don't have a will, according to Virginia state probate law. Probate can be a hassle, and expensive, so avoiding probate is a significant blessing for the heirs you leave behind when you die. Living trusts in Virginia provide additional benefits, including the ability to share the benefits of property ownership with others, the minimization of taxes and the protection of assets from personal creditors. When you create a living trust in Virginia, you have the option of naming several beneficiaries. You can explain how you want the trust to distribute money and property to each beneficiary. Additionally, property that is owned by the trust generally is not accessible to your personal creditors. This protects your property from potential legal seizure and sale. Finally, in certain complex circumstances, living trusts help minimize income and estate taxes. Living trusts in Virginia can take one of two forms, which are revocable and irrevocable. 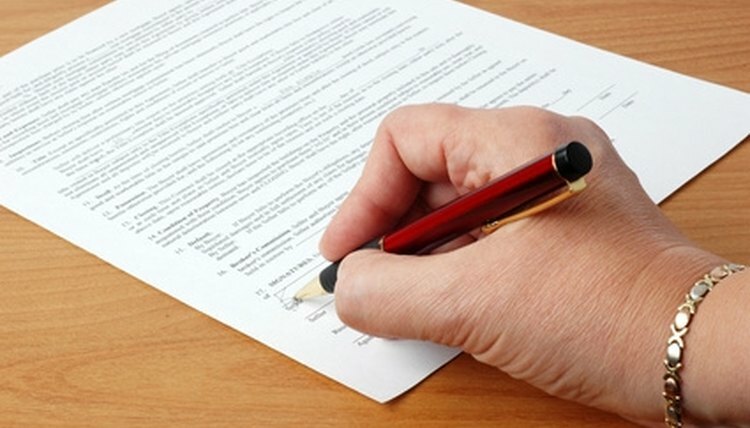 The trustor decides what form the living trust will take at the time the trustor creates and signs the trust document. A trustor can terminate a revocable trust at any time and repossess the trust property. To terminate an irrevocable trust under Virginia law, however, the trustor must obtain either approval from a judge or consent from both the trustee and all of the beneficiaries. Both types of trusts avoid probate, but only irrevocable living trusts protect property from creditors and minimize taxes. M., Phil. "What Is a Living Trust In Virginia?" , https://legalbeagle.com/6324871-living-trust-virginia.html. Accessed 25 April 2019.